Opponents of the Line 3 project — including the state Commerce Department — petitioned the Minnesota Public Utilities Commission to reconsider the approval it gave the project in June. The commission unanimously rejected that request Tuesday. Now the process moves to the courts. Tribes and environmental groups have already sued to overturn the state's approval of the environmental review conducted for Line 3. The Minnesota Court of Appeals held a hearing on that challenge last week. Tribes, environmental groups and the Department of Commerce have filed separate challenges seeking to overturn the PUC's approval of a certificate of need for Line 3. And appeals have also been filed to block the commission's granting of a route permit for the pipeline. "That's the process," Commissioner Dan Lipschultz said during the PUC's meeting Tuesday. "And I don't think any of us begrudge an appeal to the court of appeals. That's the check, and part of the checks and balances that we have in our system." Last year, the PUC approved Enbridge's plan for replacing its aging Line 3 oil pipeline, which has been transporting oil from Alberta, Canada, since the 1960s. The company said at the time that it anticipated having the new pipeline in service by the end of 2019. But the company still needs several state and federal permits before it can break ground on the project in Minnesota. And earlier this month, the state of Minnesota gave the company a timeline for issuing those permits that will likely put the new line in operation in the second half of 2020. The Minnesota Pollution Control Agency told the company it expects to issues its permits by November 2019. Within a month or two after that, the company expects to secure its remaining federal permits. The new pipeline would replace one of the five Enbridge pipelines that carry oil across northern Minnesota. It has drawn strong opposition from environmental groups, tribal groups and some tribal governments and climate change activists. 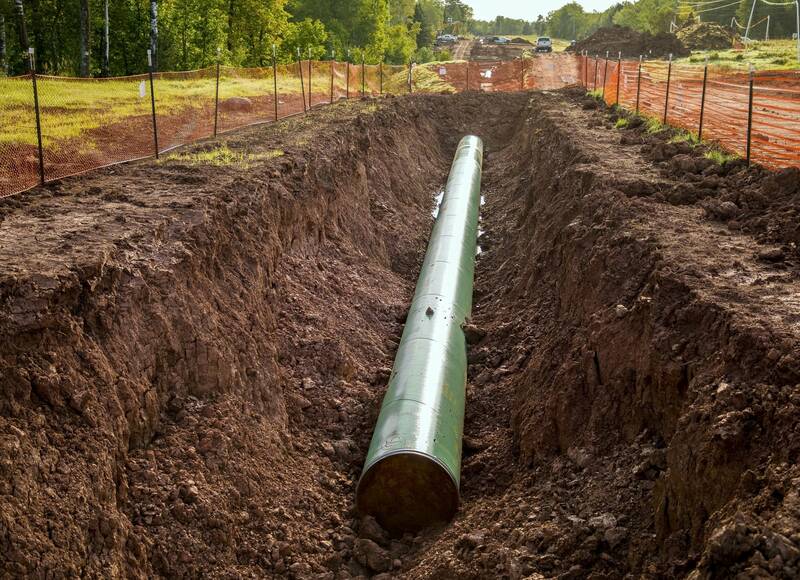 Labor unions, industry groups and many local officials have supported the project, saying it would create thousands of construction jobs and generate millions of dollars in property tax revenue for the northern Minnesota counties the new pipeline will cross. They also argue that the new line would be safer than the current Line 3, because it would replace an existing, aging pipeline. It was on those grounds that commissioner Katie Sieben criticized the Commerce Department Tuesday for its request to reconsider. "It's better to replace a more than 50-year-old pipe with one that is safer," she said. "For the department to argue that the commission should ignore the current condition of the very infrastructure that is to be replaced is nonsensical." On Tuesday, the PUC also approved Enbridge Energy's plan to spend $100 million to recruit and train Native American workers for jobs in the pipeline industry. Enbridge expects to have all the permits it needs to begin construction of the pipeline by the end of the year.